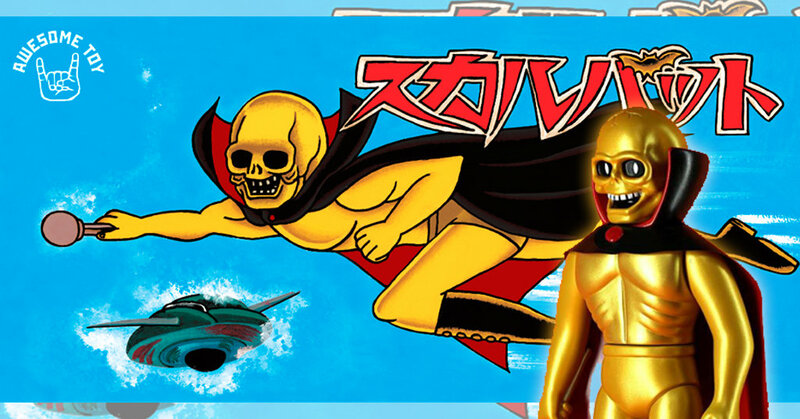 Inspired by the Pachi Golden Bat artwork from 1970s, the SKULL BAT soft vinyl figure from Awesome Toy returns in its Golden Bat variant for a special overseas release. Stands 11 inches tall featuring 6 points of articulation, a removable staff and a hand made cape. Priced at $120 + Shipping. For more info follow Awesome Toy on Instagram & Facebook.